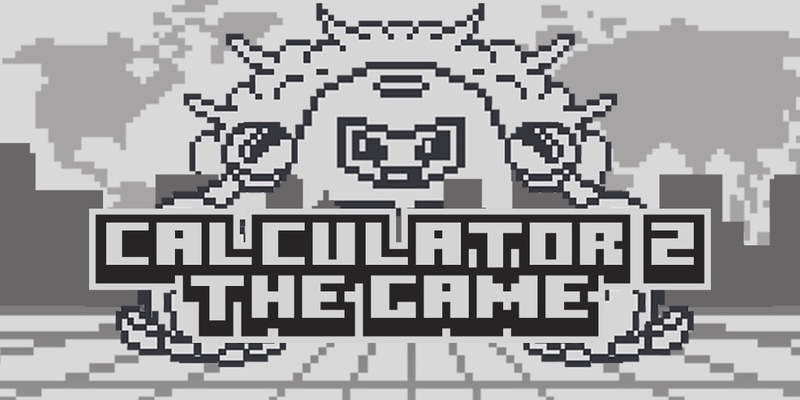 Calculator 2: The Game is the sequel toast year’s Calculator: The Game, a clever math puzzler that bends the rules using buttons that can change one number to another, add numbers to the end of a another number, and even use portals to teleport numbers. I enjoyed it a lot, so I’m excited to see Simple Machine back with more. This time, you communicate with Dot, trying to save the world from Clicky! It’s more fun to solve the puzzles yourself, but if you get hopelessly stuck, this walkthrough guide should help you. Feel free to ask for extra help in the comments section. Level 20: This one is weird. Press the ABC buttons and then just use the arrow buttons to scroll through letters for each number until it spells MATH. Then press ENTER. Select the section you need below or click here to continue to Levels 21 – 40.